Home » Storage Blog » To renovate or not to renovate? Whether you’re thinking about buying a property with the intention of doing it up and either moving into it or reselling it, or you’re wondering about making some changes to your current property, renovation can be both a fun and interesting project to get stuck into. Here’s what you should consider if renovation is something you’re thinking about. Before picking up a hammer and starting work, there are a number of points you need to consider about the impact of the renovation. One key point to understand is that, in most cases, renovations will often last longer and cost more than you may have initially anticipated, especially if you’re new to it. Also, while it may be tempting to try and DIY your renovation in order to cut costs, it’s often not the best option. It can impact the quality of the work, cause damage to your property, or mean that the renovation takes a lot longer. If you do decide to undertake a renovation, make sure to strike a balance between working on your property and your home life, since renovating can often take over every single weekend and spare minute you have. Your partner or children may start to roll their eyes or worse if you want to spend every spare second discussing tiles or colour schemes. Finally, always make sure to research any contractors you decide to use for your renovation since, while the majority are hardworking and legitimate, there are some who use contracting as a scam. Make sure you always seek out your contractors, instead of picking ones that come to you. There are five criteria to consider when undertaking a renovation, especially if you’re looking to sell your property following the renovation; location, the demographic of your potential buyers, market value, size and style. It’s crucial to consider the location of your property, since that can have a huge bearing on what renovations potential buyers would consider valuable – even if you’re not looking to sell your property as soon as you’ve renovated it. If other properties around yours have had new kitchens fitted or have converted the floor plan of their home at all, it could be an idea to consider these renovations – after consulting with an estate agent to see whether they agree that these options add value to your home. Understanding the demographic of a buyer that may be looking to purchase your house is also key when considering a renovation – understanding the current trends and tastes on the housing market will mean that, if you decide to renovate, you can tailor this renovation to appeal to buyers. The market value of your property can have a large bearing on how much your property may sell for, both with or without a renovation. The economic standing of the property market can often have more of an impact on sales than whether you’ve updated your kitchen or not, so it’s often a good idea to talk to an estate agent to find out whether a renovation would be necessary. The size of your renovation is something you need to consider early on in the process, since it will affect both the amount of time that you’ll need to spend on the project, and also the budget that you’ll need to set and work with. Paying attention to the style of your renovation is directly linked to the location of your property and the buyer demographics. Maintaining the style of your current property, in keeping with the surrounding properties, is commonly the most appropriate approach for exterior renovations. 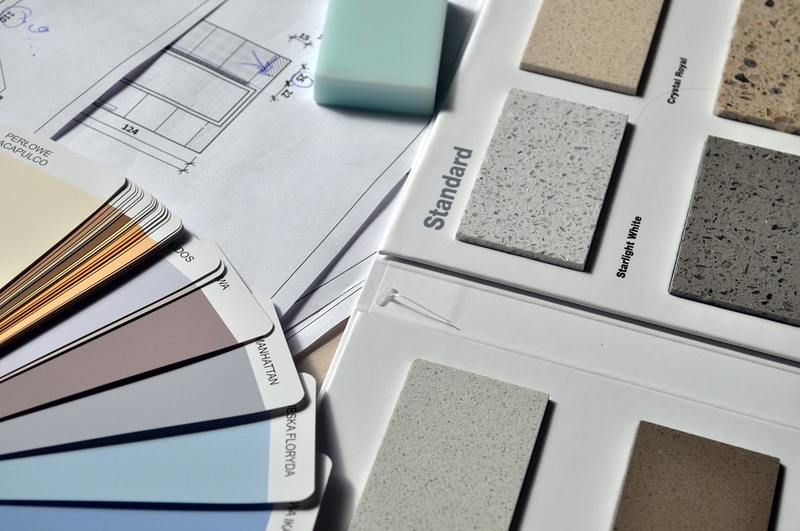 With regards to interior renovations, it’s often best to go with neutral colourings and a modern, clean style, since this is often universally appealing to buyers in the current market. If you’re buying a house with the express purpose of renovating it, one advantage of the process is that you will know the quality of the house you are moving into. You’ll be able to decide the details of the property, such as the kind of windows you’d like or the layout of the interior. Additionally, being able to prove when new aspects of the house were added or installed can also help with selling the house in the future. Since a renovation project is, in essence, a blank slate, you’ll be able to decide exactly how you’d like the property to look. One major disadvantage of renovating is that it’s often not possible to completely recoup costs of a renovation project when it comes to selling the property on. While a major increase in space, such as an open plan renovation or an extension, could increase prices, often smaller renovations don’t reflect impactfully on prices. In terms of rooms, a kitchen renovation will often add more to the price of your property than say, an office renovation. Additionally, when a renovation is ongoing, there will be a lot of disruption at your property. You will need to be prepared for the lack of a room/service – such as a kitchen or bathroom – and will need to deal with the noise of construction. If you’re considering undertaking a renovation project, but don’t want your possessions to get damaged or dirty while the work is going on, consider self-storage. At Titan Storage, we offer flexible storage periods, secure and clean units, and 24/7 access should you need to retrieve anything. Find out more on our website. Your children have flown the nest – what next?